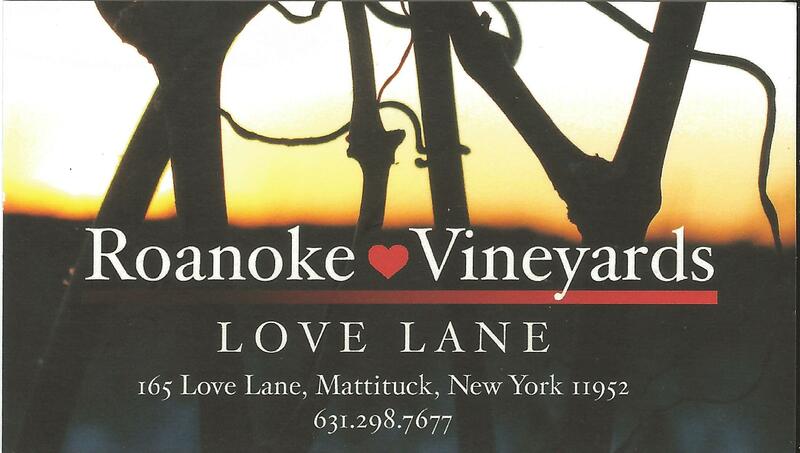 Right across Love Lane from the Love Lane Market sits the Roanoke Vineyards tasting room. We found Brenna managing the room, and she graciously offered us a taste of some delicious wine and gave us our Love Lane Passport. We tasted their 2012 DeRosa Rose and the 2009 Cabernet Franc. The Rose was bright and lively, with plenty of up front fruit. Not surprising, as it was made by Roman Roth, the winemaker at Wolffer Vineyards. So was the Cab Franc, which had ripened perfectly (no bell pepper or strawberry notes) and had that peppery finish that would complement your favorite steak. When you stop in, make sure to pick up a Love Lane Passport. The cooperating merchants offer discounts, and the concept merits your support. Where else could you wait for a table in the Love Lane Kitchen while tasting wines at the Roanoke? When the table’s ready, they come and get you. What could be easier and friendlier? 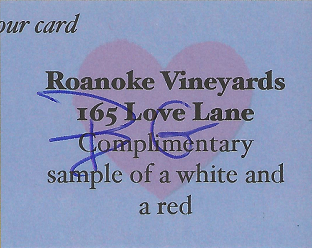 There are more interesting Love Lane shops to visit in the upcoming Fall season, and we’ll be sure to visit the Roanoke Tasting Room each time we return. Roanoke provides a useful tasting notes sheet, on which they indicate which wines are ready for tasting that day. Ask for one when you visit. Comtesse Therese Tasting Room, breakfast in Riverhead, great tasting at Laurel Lake Vineyards, Coffeepot Cellars, and secrets of the Lambburguesa… so stay tuned.